Ah, glorifying the paradoxical dirtbag consumer. How are we supposed to buy their gear if we all quit our jobs? There are so many people crushing while working and contributing to society. Let’s make a hashtag for that, maybe #workhardclimbhard or #idonthaveatrustfund? I was actually thinking the same thing as I watched this. If all Black Diamond consumers quit their jobs and lived out of their cars, they’d surely go out of business. Unless, of course, they pulled a The North Face and start selling fleeces to people that will never see the North Face of anything. I don’t think this video is about quitting your job to buy BD gear. It’s about climbing dictating your major life choices (what job you have, where you live, how you contribute to society, and what to spend the little money you have on). I think many of us rather spend our monthly earnings going to a cool destination than on fashionable clothes or a fancy car. Most people who don’t climb may not understand that. Most people who don’t climb can’t afford to go to cool destinations, buy fashionable clothes, or fancy cars. Thats it, im qutting my job, selling everything i own that isnt related to climbing and buying all blackdiamond stuff…thank god this video was here to guide me! LMAO….this video felt like an advertisement for a new “My Strange Addiction” episode. I normally love BD videos. 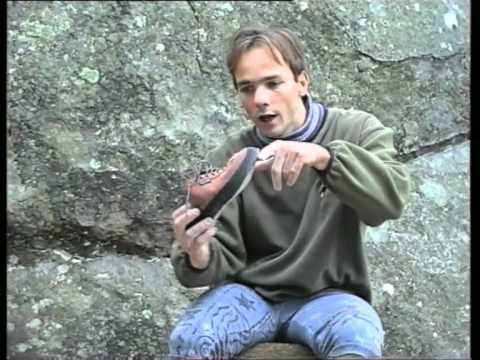 C’mon BD, more rock climbing videos, and less rock climbers talking about rock climbing videos! The cynical internet commenters win again. Does it come from their marketing department? Yes. Do I still think it’s inspiring? Absolutely. I would have to say it is quite an interesting phenomenon. I’ve been around the world and met a lot of people but I have never met any group like climbers. Their devotion, dedication, obsession with rock climbing intrigues me. I’ve never seen such worship of something in my life, in the business world, tribal people groups, in religious settings… climbers take the cake in my opinion. serious white people problems here. It must be hard to leave your degrees, ready jobs, trustfunds, etc, to live in a tricked out van with thousands of dollars worth of toys. Thank you DBR! Well put. 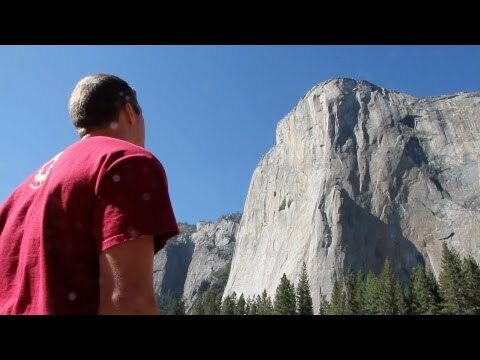 I understand that this 3 minute glimpse into climber’s obsession doesn’t fully contextualize the cultural/socio-economic advantages bestowed to some (many?) of those who plunge into this world. This is surely something to be recognized and appreciated by all those who benefit. That said, I don’t think BD is being disingenuous in presenting those who’ve allowed this sport/lifestyle to dictate so many of their decisions. That, I felt, was the thrust. Look at the passion these people have, regardless of station, and how it has transformed every aspect of their lives. I liked the video. Was I somehow deceived by this company’s video that it wasn’t an ad? No. Some people need to get off their high horse and realize that there are companies out there that are trying to make money so they can make cool products – so what?! I too want to quit my 9-to-5, but while I’m not going to do that, I surely love romanticizing those who get to climb more, so that one day I can join them – even if it is just for the weekend. I was lucky to have maybe a quarter trust fund, and I work really hard and climb a lot. And I’m only half white. So now this video and all these comments have me really confused.